Sordo will remain a Hyundai Motorsport driver for the sixth consecutive season, joining co-driver Carlos del Barrio for eight events. 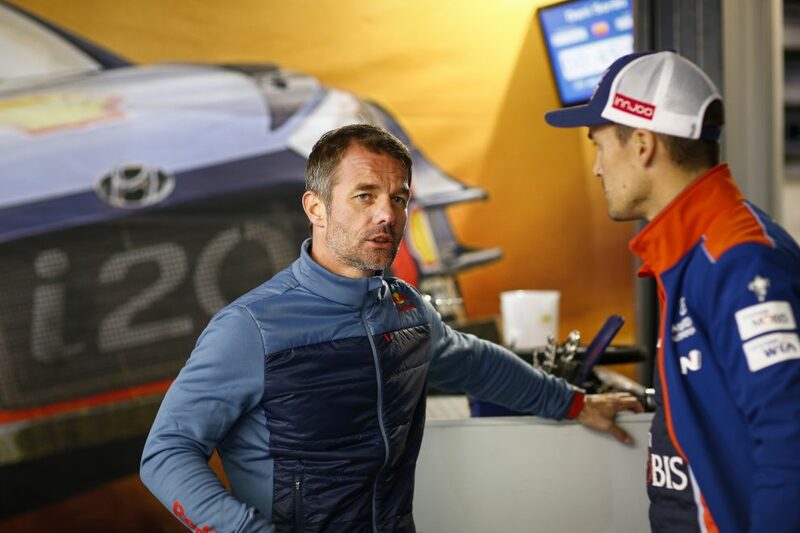 December 13, 2018 – Hyundai Motorsport has confirmed that Dani Sordo and Sébastien Loeb will join its 2019 FIA World Rally Championship (WRC) campaign, representing a strong signal of intent from the Alzenau-based team. As part of a two-year contract, nine-time champion Loeb will compete in six rounds of the 2019 season in a Hyundai i20 Coupe WRC alongside long-time co-driver Daniel Elena, starting with Rallye Monte-Carlo in January. The Frenchman registered his 79th WRC victory in spectacular fashion at Rally de España in October, his first since 2013. He will get his first taste of the Hyundai i20 Coupe WRC prior to Rallye Monte-Carlo, the opening round of the 2019 WRC season. For Sordo, a one-year contract extension to run eight events into 2019 will mark his sixth consecutive season with Hyundai Motorsport. The Spaniard, alongside co-driver Carlos del Barrio, scored five top-five results in seven starts in 2018, including two podium finishes. Their precise programme for next season is still to be defined but will commence at Rally México in March. Loeb and Sordo, who were previously WRC team-mates for four seasons from 2007-2010, will join Thierry Neuville and Andreas Mikkelsen on the team’s driver roster for 2019. Hyundai Motorsport also has an open dialogue with Hayden Paddon to discuss options for his involvement with the team into next year.